There’s something magical about cooking and eating outdoors. We all know that food just tastes better in the fresh air. Cooking and eating becomes an adventure. Nothing beats a wood fired oven in your garden. And Bushman wood-fired ovens are the best you can buy. They look fantastic, can cook fabulous food all year round and make a great talking point with friends and family. As Rosie found out, there’s a lot to consider when buying a wood-fired oven for your garden. It’s a bit like buying a car or a holiday. You need to find the right one for you. And it’s not just about size. You want an oven that is going to be easy to light, require little maintenance and get hot quickly. It needs to work in all weathers and withstand the cold and rain. Will you want to take it with you if you move house? In all there are ten points that you should consider carefully before you buy a wood-fired oven. I cover all these points and more in my must-read free guide to buying a wood-fired oven. Because the answers to these questions will determine the size and type of oven you should buy. I can assure you that simply choosing an oven off the internet without fully exploring these areas will mean you won’t be satisfied with the final results. One of the questions I get asked all the time is how much is it going to cost me? Unfortunately I can’t answer that until I know what kind of cooking and oven you want. There are just so many variables. I’ve been building wood-fired ovens since 1999. Before you buy from anyone else please do your research. 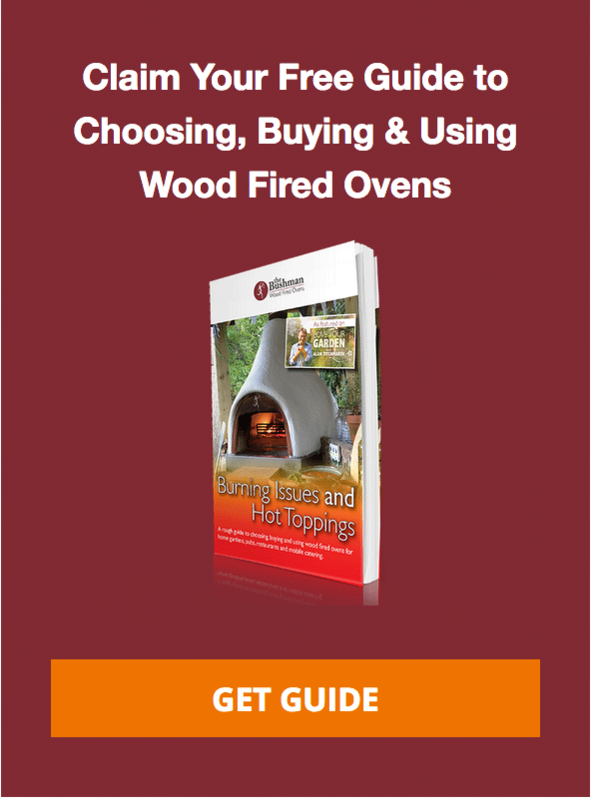 Just enter your name and email address to instantly get sent a copy of my quick guide to wood fired ovens which will go through the mistakes that most people make and how to avoid them. PS. If you want to build an oven into a house or an enclosed building then you will need to buy one of our commercial ovens. Our domestic ovens are only suitable for outdoor installations. Why buy a Bushman oven? Choose a Bushman oven and you get guaranteed peace of mind. Our ovens are favoured by Michelin star restaurants, award winning pizza chains and reliability conscious sole traders. Our years’ of experience mean we know what we’re talking about and we won’t rest until together you’ve chosen the perfect oven for your garden. Yes, there are cheaper ovens out there but they do not work as well and nor will you get the same level of advice and care both before and after installation. Don’t take an uninformed gamble, get a copy of my guide now and let’s get this wood fired adventure started with the right information from the start. Yes! 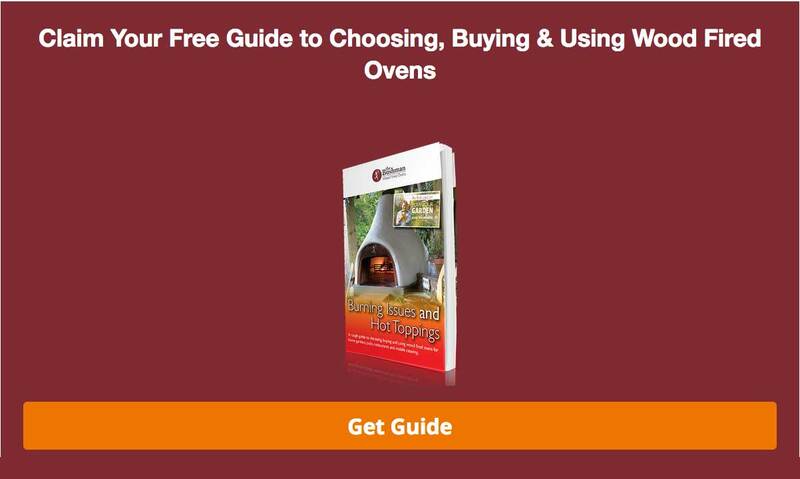 Please send me a copy of my free guide to choosing the right wood-fired oven for me. WHEN THE TIME COMES TO MOVE UP FROM A BARBECUE YOU KNOW WHERE TO COME. We all know how special it is to eat and cook outside. Barbecues are cheap and quite effective. But if you want to really savor the best of out door cooking you need to install a wood fired oven. And not just any old wood fired oven – but a wood-fired oven handcrafted to your exact specifications by Bushman. We are the market leader in wood-fired ovens in the UK. 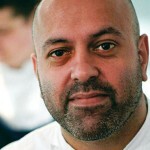 We are used by hundreds of businesses, large and small, by Michelin starred chefs as well as a growing army of domestic users who want that great wood-fired taste in their cooking all the year round. A well made, well situated wood fired oven is versatile, sociable, attractive and a huge talking point. But you have to get it right or it ends up being a costly waste of time. Just send us your details and we will arrange to set the ball rolling. You will learn a great deal. You will understand just how good a Bushman really is. And what’s more, you might just decide to transform the way you family cook and entertain, forever.